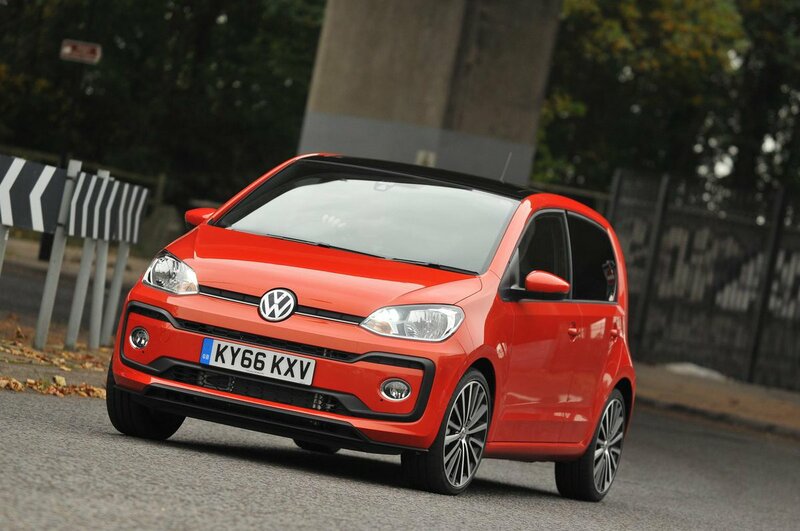 Volkswagen Up Running Costs, MPG, Economy, Reliability, Safety | What Car? 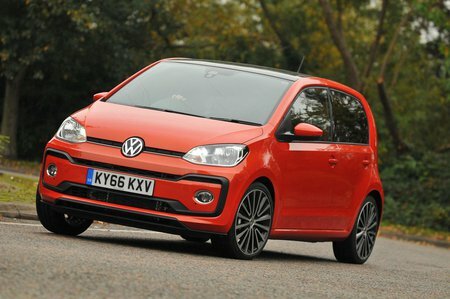 Compared with rivals such as the Suzuki Celerio, Seat Mii and Skoda Citigo, the Up’s brochure price seems quite high. Day-to-day running bills should be low, though, especially with the 59bhp and 74bhp versions, because both averaged a fraction over 55mpg in our real-world True MPG tests. Even the more powerful 89bhp model averaged a whisker over 50mg. Another plus for that TSI 90 engine is that it’s not much more expensive to buy than the 74bhp version in the same trim and it’s a much more flexible performer. It's where our money would go if we're buying an Up. If you're a company car driver, the 59bhp and 74bhp engines offer CO2 emissions of less than 100g/km – but only if you pay a bit extra for the stop-start system. If you're buying privately, we we wouldn't bother. Resale values are reasonable rather than spectacular – a Kia Picanto or Hyundai i10 is predicted to be worth more after three years – although you should be able to get a reasonable discount when buying your Up. The all-electric e-Up is seriously expensive, although a government grant helps lower its price and, besides, you’re more likely to lease it anyway. Meanwhile, the Up GTI is one of the cheapest hot hatches you can buy. 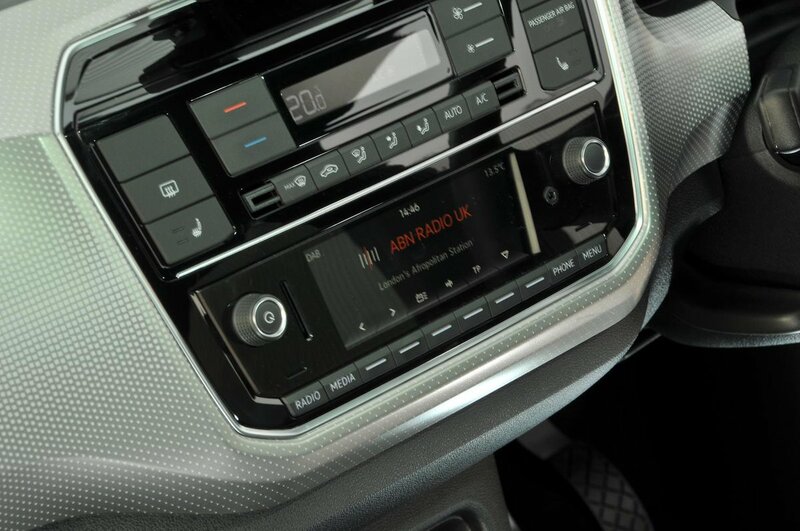 The entry-level Take Up model isn’t blessed with much standard equipment – even air conditioning isn’t on the list (it can’t be added as an optional extra, either). Move Up trim gets you air-con, as well as electric front windows, remote central locking, a full-size spare wheel, split-folding rear seats and a height-adjustable boot floor. Both trims are available only with the 59bhp engine. Our favourite is High Up trim, which is offered with the 74bhp and 89bhp engines only and comes with a much more impressive kit list. This includes the more sophisticated 5.0in infotainment system (see infotainment section), 15in alloy wheels, heated front seats, electrically adjustable heated door mirrors, a leather steering wheel and gearlever, and front foglights. The Up Beats is a separate trim available with all three engines. It's slightly less lavishly equipped than High Up, but if you love your music you won't care about that because it brings a much more powerful sound system. Meanwhile, you don’t get a choice of trim level in the e-Up; however, the sole specification that’s available is based on High Up, so it has more than enough standard equipment. Meanwhile, the Up GTI is also based on High Up but adds loads of bespoke styling touches and front sports seats. Based on the results of our most recent reliability survey, the Up is averagely dependable by the standards of the class. Owners reported fewer faults than owners of the Fiat Panda and Fiat 500, but the Citigo, Hyundai i10 and Toyota Aygo were all more reliable. Like all Volkswagens, the Up comes with a three-year/60,000-mile warranty and one year’s breakdown cover. This is comparable to the cover provided by most car companies but falls short of the five-year/100,000-mile warranty you get with the i10 and seven years of cover on the Kia Picanto. You can buy an extended warranty that covers your Up for up to five years or 90,000 miles. All Ups come with stability control, twin front airbags and side airbags that extend upwards to cover the same area as curtain airbags. There are also Isofix child seat mounting points on the rear seats. The Up achieved the maximum five stars in its Euro NCAP crash test in 2011, with scores of 89% for adult occupant protection, 80% for child occupant protection and 46% for pedestrian protection. The rival i10 scored slightly lower marks for adult and child safety, but fared better for pedestrian safety. Automatic emergency braking, which applies the brakes if the system detects you’re about to hit the vehicle in front, is available as a reasonably priced option on most models (it comes as standard on the e-Up). However, this important safety feature is standard on our favourite version of the Picanto. Security experts Thatcham Research awarded the Up four out of five for resisting being stolen and three out of five for guarding against being broken into.